This is a super bright reddish orange called Caliente Coral, it looked boring so I painted dots on my tips. Pretty pretty manicure. 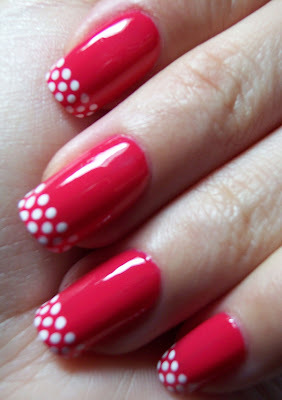 Love the polka dots.